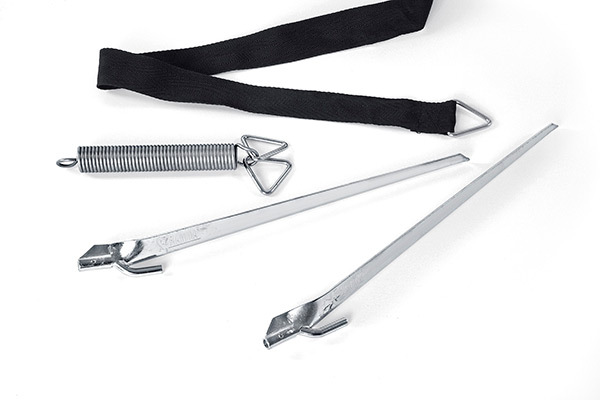 TIE DOWN Useful strap to hold the awning firmly anchored to the ground in light wind. 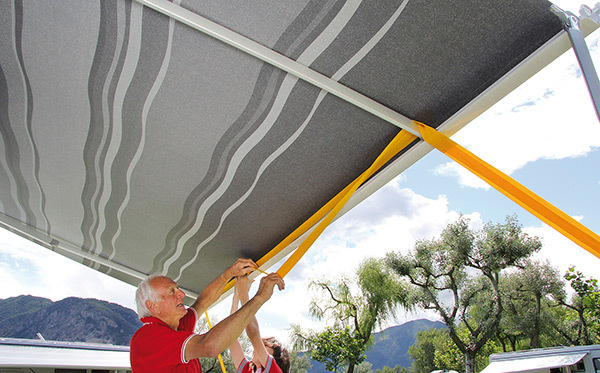 It fits crank awnings up to 600cm in length. 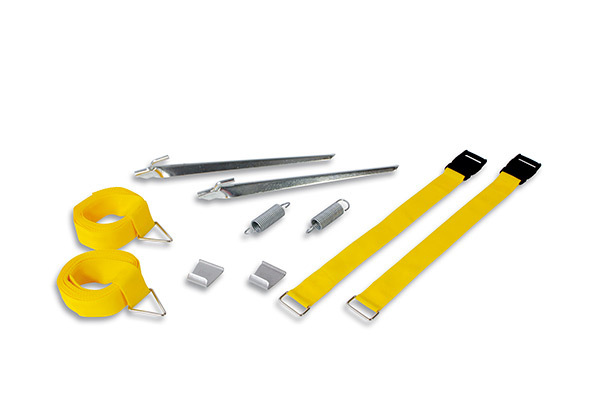 TIE DOWN S Strap kit allowing a solid anchoring of the awning to the ground. 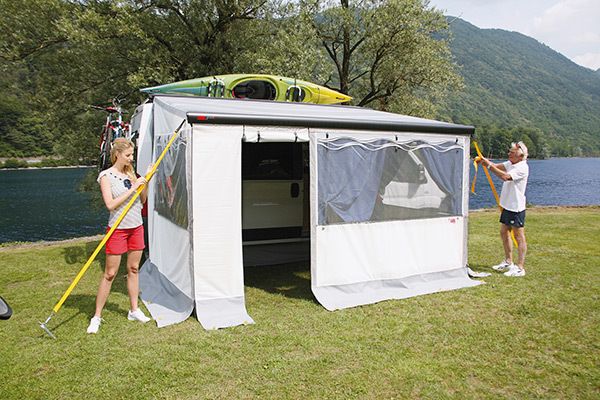 Fits into the awning guide (of F45s/L, F65s/L, F35 Pro or Caravanstore) or the side clip of the Privacy-Room. • 2x frontal hooks (for F45, F65 with double guide on the lead bar or Caravanstore/F35). 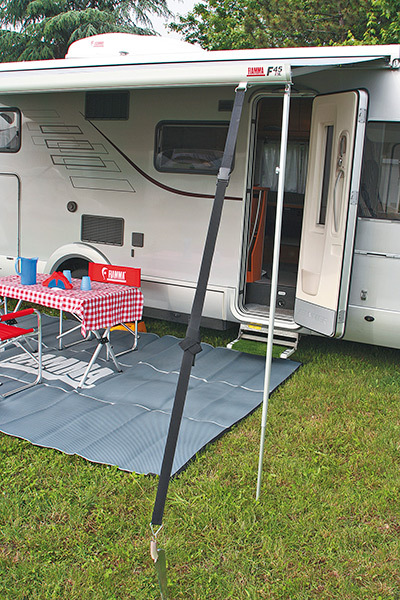 The version "Tie Down S Caravanstore" fits into the leg of the Caravanstore / F35 Pro awning.